We’ve been blogging (on and off) about the possibility of “bayesian voting” on multi-member courts. The idea is to use a sliding scale (from 0 to 1) to allow each judge to express his degree of confidence (or credence) in the proper outcome of a case, instead of allocating a single up or down vote to each judge. Perhaps the most serious criticism against bayesian voting, however, is that it is anti-majoritarian, since it rejects the one-man, one-vote principle, specifically the one-judge, one-vote rule used by appellate courts. But the problem with one-man, one-vote is that majoritarian rule does not allow each judge to express the intensity of his beliefs in the proper outcome of a case. Furthermore, as William Riker and others have shown, majority rule produces incoherent results (see image below) and can be easily gamed to produce almost any outcome. 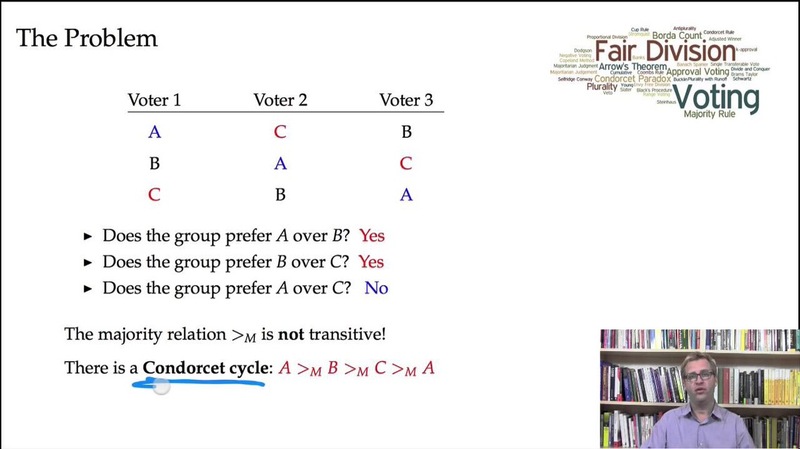 In short, if we want to solve the paradoxes of voting that can occur in multi-member panels, then majority rule must give way to the “rule of credences.” We will explain why with a simple example in our next blog post.